Warning: very silly! Do not leave your homes! Dan and Phil are on a world tour. 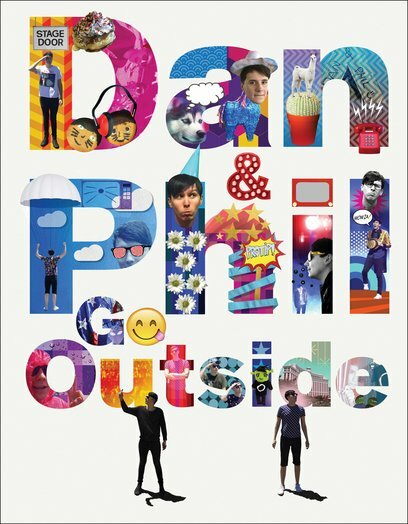 Nowhere is safe… Internet heroes Dan Howell and Phil Lester may be all over the web, but there’s one place you’ll never find them. Outside. So what will happen when these avoiders of human contact and direct sunlight actually – gasp – leave their homes? Will they crumble into dust, like Dracula? Will they be mobbed by bazillions of fans? Will their tour involve so many OTT jokes they’re banned from concert halls across the globe? Well, the good news is, they’ve survived the Great Outside and lived to tell the tale. Want the full story? It’s all in this nutty book of tour anecdotes, daft insider photos, cheeky sidenotes and gossip. Enjoy their world tour without having to, ulp, go outside!